Looking for a fast and premium repair services without the hefty price tag? Don’t let a broken device curb your productivity. 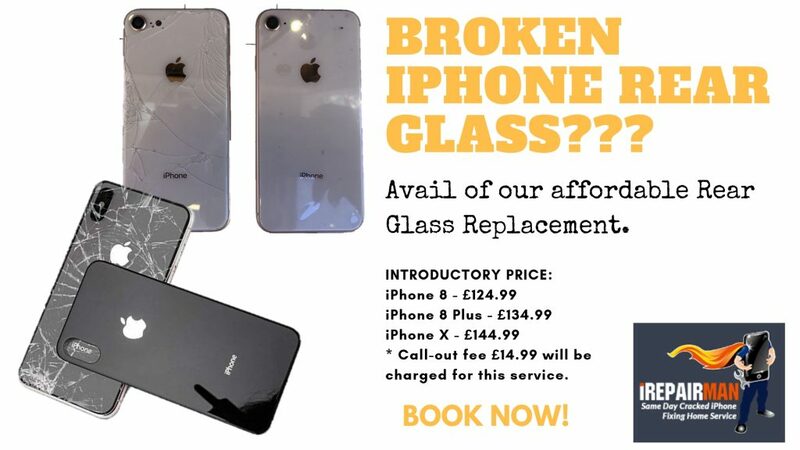 We all know that an iPhone’s rear glass is very difficult to repair and costs more to replace than the front screen. That’s why iRepairman offers a great solution! * Call-out fee £14.99 will be charged for this service.